In the fall of 2018 the St. Albert Public Library held a 12-week Massive Open Online Course (MOOC) on Indigenous Canada by the University of Alberta. This course, offered by the University, was the most popular MOOC course in Canada for 2017. Topics covered included the fur trade, political conflicts and alliances, residential schools, land claims and contemporary Indigenous life and the arts. The Musée Héritage Museum provided programming space as needed, and pulled out archival materials and artifacts relating to the weekly topics. 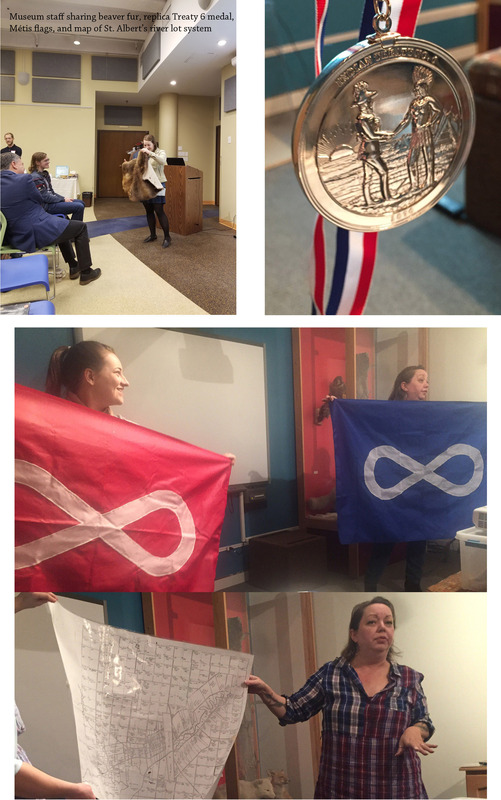 Beaver fur, archival images and maps, Métis flags, a copy of Treaty 6 and a replica Treaty 6 medal were all discussed and passed around. For the last class we enjoyed a delicious potluck dinner that included bison stew and bannock! We were also fortunate to have a special guest speaker, Dr. Tracy Bear. Dr. Bear is an Assistant Professor with the Faculty of Native Studies at the University of Alberta and a co-creator of the course. She answered questions regarding the production side of the course, how content was selected and how to be an ally to the Indigenous Community moving forward. Our Elder, throughout the 12 weeks we met together, was Tom Ghostkeeper and he offered council on protocol as well as words of wisdom throughout the course. He led a sharing circle at the beginning and mid-way through the course. 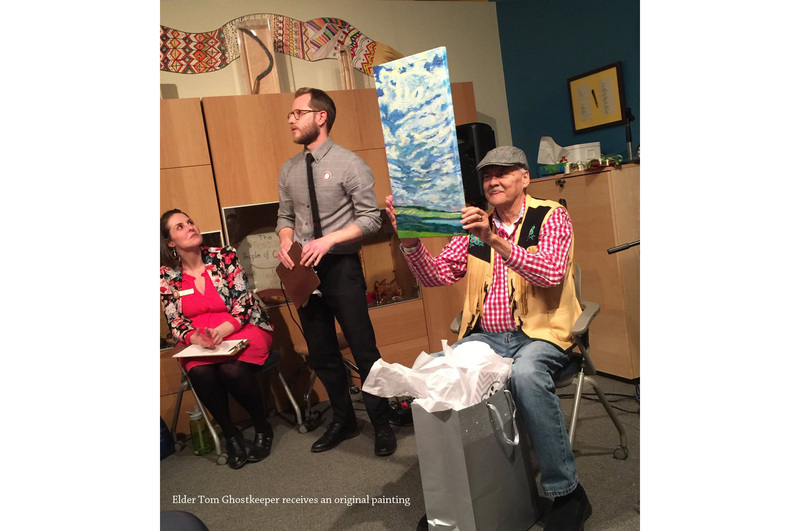 At the last class he received an original painting as a ‘thank you’ for the guidance he provided. For more information about Musée Héritage Museum exhibitions or programming go to http://museeheritage.ca/ or call 780 459-1528.